“These are the moments when we want help informing our choices or making decisions,” Google said in a white paper. “For marketers, these moments are an open invitation to engage. And they’re the moments you have to be ready for." Execution here is key, though. Targeting a potential customer with useful information at the right place and time takes careful thought and consideration. Just being there isn’t enough. In order to engage consumers and keep them coming back, “commerce should be contextualized with information and experiences that are personalized, immediate and delivered at the right time and place to influence behavior,” according to Google. Read on to learn how to drive consumer engagement at every stage of the retail fuels journey, from pre-visit to post-purchase. Google identifies three important factors in engaging a customer in micro-moments as being there, being useful, and being quick. Customers are demanding and impatient. So much so that if your website or app takes too long to load, it might turn them away. And if they don’t get what they’re looking for in your store, they may never come back. 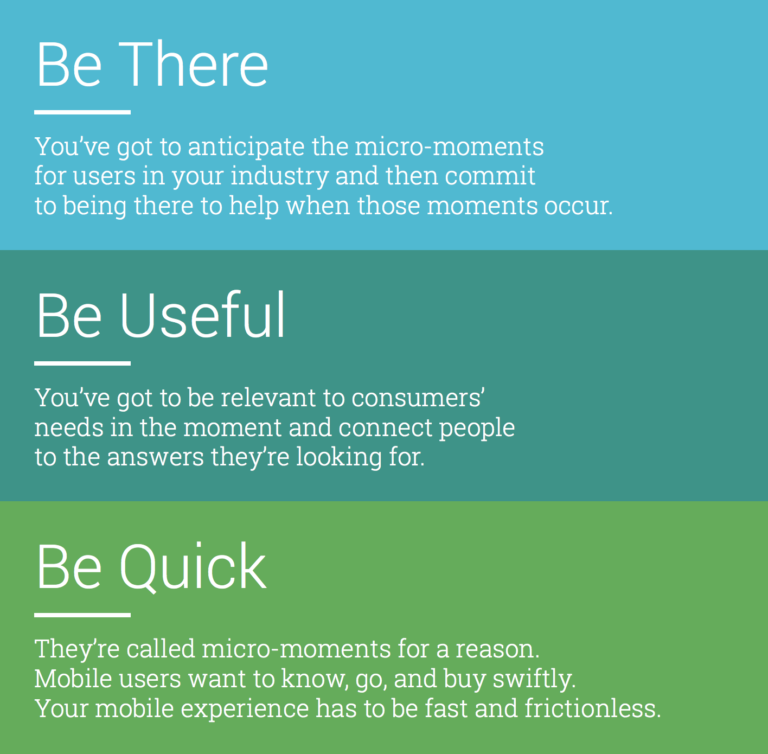 Micro-moments are about listening to and anticipating the needs of your customers. Most importantly, your brand has to be present to be noticed. An optimal physical location is likely to attract first-time customers, but it isn’t enough. Your business must have a digital presence for your brand to be successful in the ever increasing digital marketplace. “Being there” includes a presence across all stages of the consumer journey. All retail fueling locations are optimized for the sale, or the final stage of the journey. But to appeal to potential customers at every stage, consider your customer’s intent and context. ● Where can I get the cheapest gas? ● What gas station nearby has a car wash? ● Where’s the nearest gas station? ● What station nearby has the nicest bathrooms? ● Which convenience store offers the best breakfast deals? What can you do to appeal to these potential customers? Have answers to any potential questions readily available on your website or mobile app. Modern-day consumers research before taking action, so any information regarding location, prices, inventory, and amenities you can provide is likely to help drive traffic. Once digital presence is established, you have to make your content work for you. Your site information is easily accessible, but is it up to date? If your pumps are temporarily out of service or your store hours change frequently, that information must be communicated to your customers in a timely manner. If a customer sees on your website that your store is operating at 9 p.m. on a Monday, but comes to find the store shut down early, rest assured that customer won’t come back. If your information isn’t reliable, there’s no reason for them to make a second attempt. Earlier we mentioned targeting consumers in the early stages of the purchase funnel, but what about the customers who’ve already made a purchase? This is where a lot of companies miss opportunities. Return customers are your most valuable, as the probability of selling to an existing customer is 60-70%, while the probability of selling to a new prospect is 5-20% according to Invesp. Today, the majority of visits to a gas station occur only at the pump, while significantly fewer visits include customers entering the store after buying gas. But what if merchants can change this? Making the fueling process more convenient and providing the right content can do the trick. 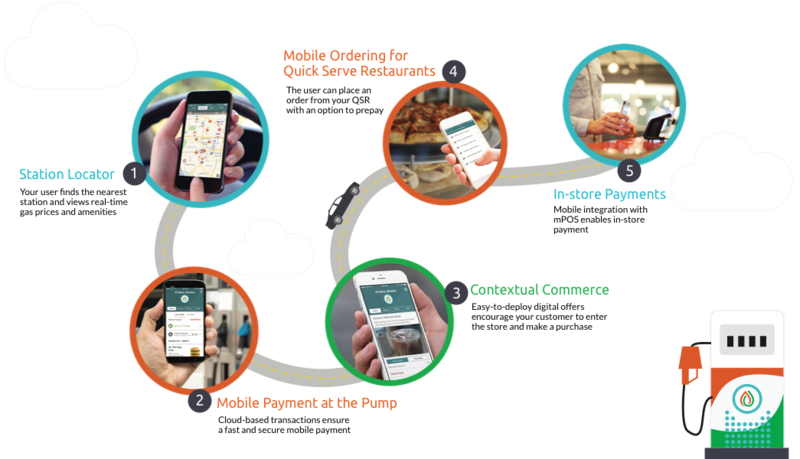 A cohesive loyalty program coupled with contextual commerce has the power to bring your fuel customers in store and to keep those customers coming back. Pay attention to your customers’ purchase behavior to provide relevant and timely digital offers. Also take into account the weather, day of week, and any outside factors that may affect purchase behavior. A free hot chocolate on a cold day or a discount on fuel for a return customer is sure to drive loyalty and brand affinity. Imagine the difference you could make for your business by providing useful and relevant content. The PetroZone Platform follows a contextual commerce journey that moves customers through the purchase funnel and keeps them coming back. Consumers expect to be able to access any information they may need when they need it, and they expect it to be quick. In fact, 58% of smartphone users are more likely to buy from companies whose mobile sites or apps allow them to make purchases quickly, according to Google. A streamlined customer experience is enough to make a dramatic impact (ahem, Amazon,) so what can you do to create one? First, your customer should have the ability to purchase in whatever way suits their needs, in store and at the pump. If your customer is accustomed to mobile payments, providing that option ensures an optimal experience. Second, anticipate your customer's’ needs. There’s little you can do to decrease the time spent fueling, but what if you can maximize your customer’s time spent waiting? If your customer could order food from their phone, pick it up, pay for it, and return to their car all before their fueling is completed, your customer would appreciate time well spent and your store will benefit from the sale. Anticipating the needs of your customers is a win-win. And finally, load like lightning. Your website and mobile app should be user friendly and fast. Don’t lose customers because of load times. A simple but fast app or website is more likely to convert than a fancy one that’s slow to load. 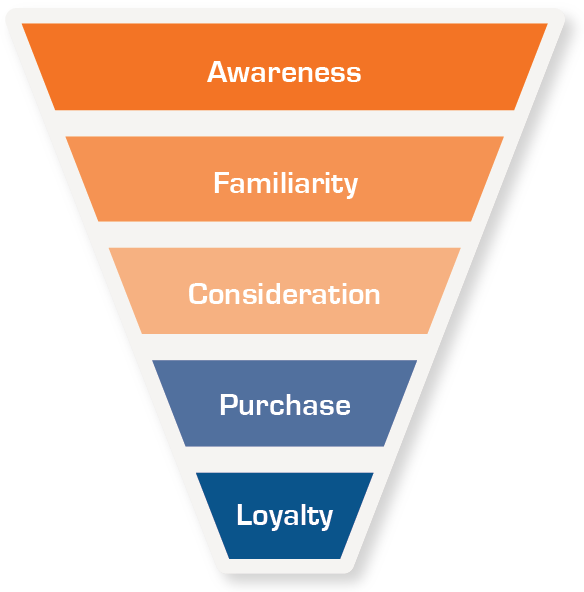 At this point, you’ve thought of ways to improve your customer experience at every stage of the funnel. Focusing on the micro-moments will enable you to capture potential customers and create an experience that keeps them coming back. By being there, being useful, and being quick, you’ll be miles ahead of your competitors in no time.